Hyatt Hotels Corporation said it has completed the acquisition of Two Roads Hospitality, a lifestyle hotel management company with a unique collection of distinctive brands, outstanding properties and a significant global development pipeline. “We will leverage the shared expertise of Hyatt and Two Roads across our powerful combined portfolio of 19 brands to bring best-in-class offerings for guests around the globe,” said Mark Hoplamazian, president and CEO, Hyatt Hotels Corporation. “For hotel owners, our platform will deliver opportunities for enhanced operational excellence and financial performance. We are pleased to have completed this exciting transaction, and we welcome Two Roads associates to Hyatt,” he stated. Two Roads' brands are expected to join the World of Hyatt loyalty programme in the near future, expanding opportunities for World of Hyatt members to earn and redeem points across more leisure-focused stay options and also driving hotel occupancy from a loyal group of travelers who spend more, stay more and book directly. 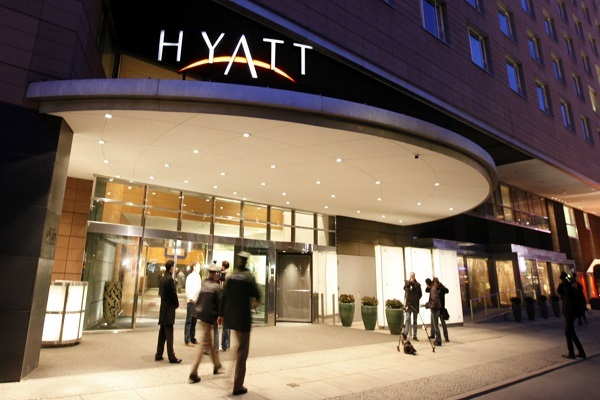 The total purchase price reflects an ebitda multiple of approximately 12x stabilized 2021 earnings, which Hyatt considers the best indicator of valuation based on anticipated synergies and growth. This compares to a prior estimate of approximately $25 million to $30 million. After including integration costs, the net contribution to 2019 Adjusted ebitda is expected to be flat to $5 million. Goldman Sachs & Company served as exclusive financial advisor to Hyatt foir the transaction, while Moelis & Company served as exclusive financial advisor to Two Roads Hospitality. The legal counsel to Hyatt was Latham & Watkins and Skadden, Arps, Slate, Meagher & Flom LLP served as legal counsel to Two Roads Hospitality.